At Capella University, we understand employers’ needs. Your focus is to build culture within your organization—making sure your workforce is continuously learning and has pathways to advance. We know it’s vital to retain top talent and attract new, high-potential talent. For this reason, Capella takes a collaborative and consultative approach with employer partners, to design learning programs tailored to the unique needs of your organization and employees. We provide a leading-edge portfolio of educational offerings that are 100% competency-based. That means we do things a little differently—for your benefit. We assess learning in a way that connects students to their career goals, and prioritizes mastery of specific competencies that can be applied directly on-the-job. 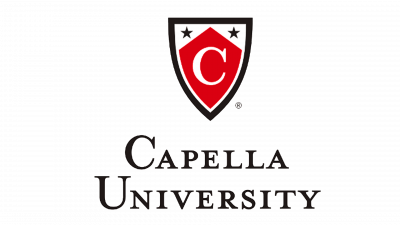 From undergraduate and graduate degrees and certificates to leadership training programs, Capella extends access to high-quality education while helping employers maximize the benefit of their investment in training and education through cost-effective programs.